Today our editorial team announced a very sophisticated social sharing widget for blogger blog. Couple of the days our editorial team was searching to bring a unique gadget style or to select a specific design for sharing buttons and customized it in different styles according to different Blog & Website designing. Such like gadget is very important for blog. it will increase fifty percent your visitors growth. It will also increase your social community counters like facebook, google plus & twiters. If you are still unable to receive a massive traffics from social media websites then we are strongly recommended to use this widget. Many people called it Do not forget to join our community widget for blogger we are presenting you as free of costs. Social media becomes the backbone of every blog & website. It has played a vital role in blogging career while its second name is placed as booster visitors. because to deal with these popular social services you will probably get a massive traffics to your home blog & website. You might have observed since many times thats every blog & websites must keep a social buttons thats why to grow its popularity with online world. Nowadays different bloggers have customize this widget in different style some of them have placed it in side bar, most of them put it in header while other have drop it into the footer areas. There are millions of social widget exists for blogger & wordpress but in today post will study how to create this widget easily by using html language. Present days Css3 play a vital role in web designing, web flashing & Gadgets buildings. It has changed the life style of web blogs and websites. However we see thats Css3 becomes the most top popular web designing language for webmasters and bloggers about ninety nine percent people using Css3 for building awesome Designing Templates, gadgets and others social media activities. Since from the couple of years we have analyzed and you also might have seen a lot of pro bloggers thats they only using Css3 instead of all other old traditional languages thats is why ? because it has a lot of scripting function like java script. Cascading Style Sheet becomes the most popular language for designing web pages because it only interact with layout of webpage not dealing with structure. 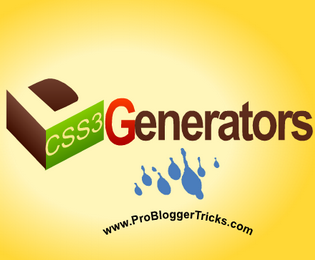 So in today article we will talk about the Top Ten Css3 Tools 2013 and auto generators for making stylishly pages & many mores. Hi pals today our team will provides some of the best & free black color blogger templates with you guys. These are all very interesting black designing blogger themes & we are sure you will be amazed once it applied on your blog website. Our Editorial Team was searching from the couple of days to get some awesome designing themes and shared on PBT with loyal readers & finally we have short listed all of them & placed on PBT. Previously we shared an buckets of collections of premium blogger templates & after sharing thats we have received dozens of comments from our reader to share a perfect article all about some of the best free awesome designing templates.These are free SEO friendly & has well format themes adopted from wordpress. So in this post we will shared with you a black color blogger themes. 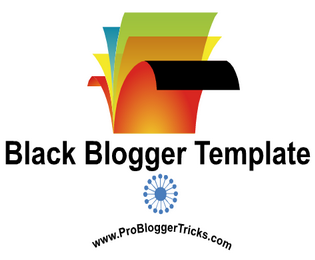 This post is all about best free black color blogger templates of 2013. Customize about me widget for blogger blog is one of the foremost jobs thats bring beauty in blog & websites. We see that most of ethic bloggers are using customize and stylishly about author widget for theirs blog & website. This is a very stylishly widget thats will give a new design to your blog & will make your blog attractive in the eyes of viewers. As normal every one place an about me bio widget at footer area with default gadget which have no attraction & have no delectable effects by the viewers. So it will be better more if we could make its design stylishly for better viewers then it will not only keeps our footer design eye-catchy but its will give a lot a new style to our blog website. So this tutorial guide us about how to customize and add a stylishly about author widget in blogger blog. IF you are really an interested Ethic Blogger, Internet-savvy & pro webmasters then you must be known some of the greatest tools created by Pro web-Programmers For Search Engine Optimizations. thats help to check our blog statistics data, health, traffics and Revenues. So in today post our editorial team share with you some interested SEO tools thats help & analyze your blog SEO statistics health, back-links, page rank, meta description, coding Errors & many mores you wants. Every successful blogger want to promote their blog website in top search engine results by applying the SEO basics techniques because they known the importance of search engine optimizations and it is the only one way to bring your blog & make it perfect for each search engine. So this concluded that sometime we must use this great tools to check our blog website statistics life. So our today post summarize all about the top ten Best Free SEO Tools of 2013. 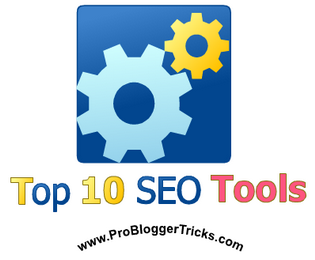 A well known step by step guide to learn about the top 10 seo tools of the year 2013. Hi friends today we are going to share with you an amazing Simple white clean and SEO friendly blogger template. 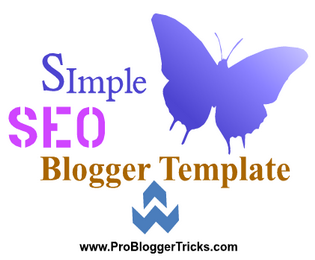 Previously we shared an awesome post about the Top Ten blogger Templates then after a short period we have received dozens of comments from our loyal readers to share a white clean & best SEO template on PBT. Since from the couple of days our editorial team was searching for simple classic template. We have landed on different blogger templates sites to finds a specific Classic theme for blogger blog while during searching we have found so many professional blogger theme but most of them are not suited for SEO according to PBT. So after long time our editorial team pick a best one SEO white clean blogger template for blogger. Today we are gifting you an awesome Google Inc tools which will helps to converts or summarize your posts, article into any international language. Google Official has published so many tremendous tools for bloggers & webmasters. 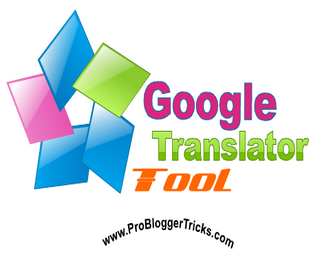 While some of them are not only limited to newbies but they are still using by pro bloggers like Google translator tools. This is a free multilingual converter tools which provides us more than 70+ languages opportunity. We could easily convert text, paragraph & documents from one language into another language. Google translator was introduced nearly at the end of 2011 by Google developers. I know that many of you have already familiar with this tools but many of us & newbies are still unaware of using such tool. So the today post is a little bit about how to use Google translator tools & whats is its purposes. Being an Internet-Savvy webmaster & blogger you should must know about the following basic web terminologies for your blogging careers. Blogging needs more & more & high qualified persons from the background of Technology. Its not a single day game. Blogging needs unlimited thoughts, Ideas, Practice, Times & knowledge. These are following basics requirements for successful blogging careers. So we would strongly urge you if you are serious in you blogging fields then you must follow these several things. 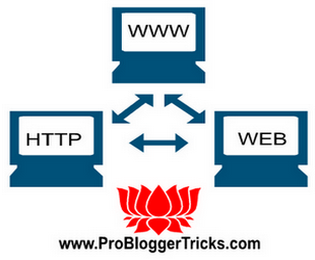 Most of the time we are attracting & spend alot of time day & night working on Internets but unfortunately many of us are still unaware the following basics web terminologies. So in today post i will defined & provides you a descriptive voice Internets parts.